Late one evening, not too long ago, while being driven home, I passed an area where there were many street kids. I started doing what I usually do—I was staring out the car’s window just thinking about the day that had been. Then a little kid approached the car, begged for some coins. Usually, I give these children crackers or any left-over dinners in takeout bags so that they may eat. Personally, I think that is a better way to help them out than giving them cash. After all, I’m not sure if the money stays on their pockets anyway. Each time I see a child begging in the streets my heart bleeds. These kids are supposed to be in school studying and not working or begging in the streets to ask for food. You could see them everywhere in the Metro, be it in the overpass, under the bridge or even under the shades. Ever get the feeling like you wish you could help someone but you know that it was beyond your means? That was how I felt to about other children staring at me with really, weary, hungry faces. Children who looked like they were as young as four or five years old were right there on the streets begging. I couldn’t bear seeing these children be deprived of their rights to shelter, clothing, food and of course, education. I decided then that I was going to try and help them out. Any little thing would be all right. It’s true that there’s so much poverty around us, but there is still hope. Nobody ever said that helping people was not within one’s capacity. Yes, even if we’re not from affluent families, there’s so much we can do to help. 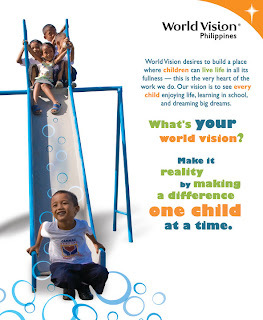 You can sponsor a child in World Vision’s Child Sponsorship program. For only P20 a day or P600 a month, you can help send a child back to school and inspire him to achieve his life goals for a brighter future. For 50 years, World Vision has been helping children and their communities fulfill bigger dreams, providing not only physical resources but the hope and motivation to do so. 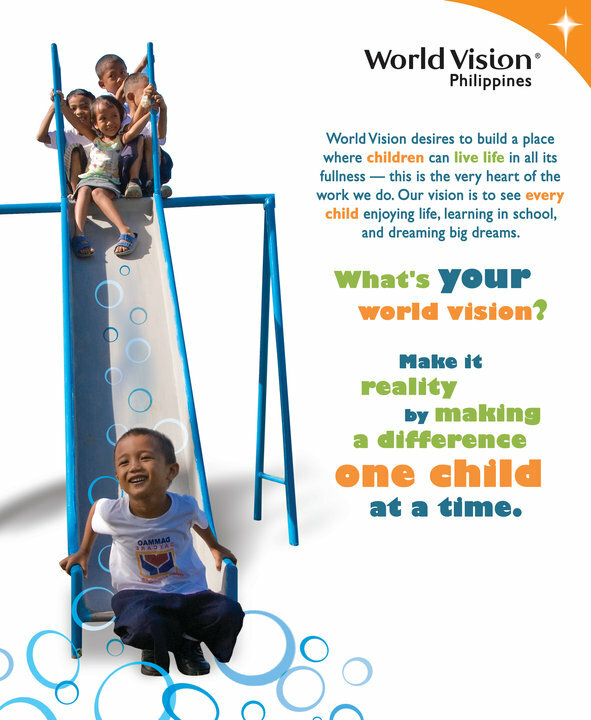 World Vision works to provide children with opportunities to be able to live well-improved lives. Child sponsorship is a way for you to make a real and lasting difference in the life of a precious boy or girl in need. Your regular contribution will be pooled together with other World Vision resources so that the children, families and communities may be provided access to education, good health, values formation, child rights protection, skills and leadership training and sustainable community development projects. Upon sponsoring a child, you will receive a Welcome kit which contains your sponsored child’s profile, and a sponsorship manual as your guide in sponsoring the child. Aside from that, you will also receive an annual progress report containing the latest photo of your sponsored child, his/her grades in school and updates about the community where your sponsored child lives. Yes, you could also send letters and correspond with them and they’ll write back to you! Post-its of messages for the kids. I was so glad to have been invited to cover the World Vision Development Foundation’s Count Me In—an advocacy event held at the Trinoma Activity Center recently. The said event aims to reach 11K beneficiaries for 2011. I knew that it could change the lives of so many children. 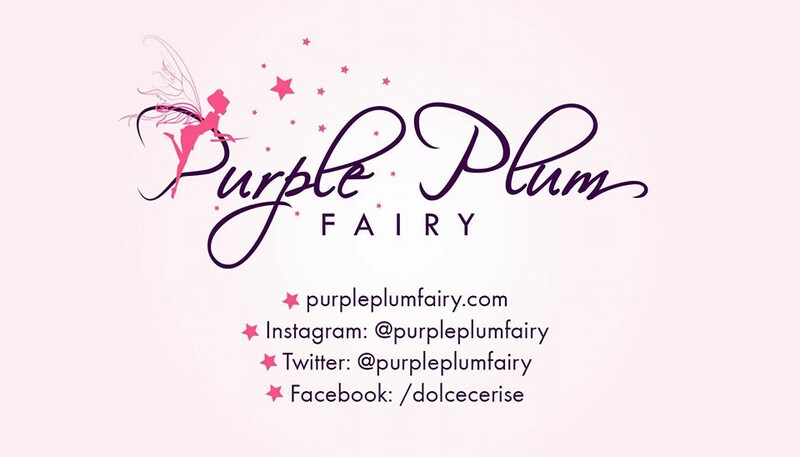 As a blogger, I probably didn’t make much of a difference to those children, but I knew I had the capacity to help by spreading the word that we can all become sponsors so that these unprivileged kids lead better lives. It feels good when you are able to treat a friend out to dinner at night, right? But are you really able to make a difference in their lives by doing so? Believe me, it would feel better spending P600 a month, being able to send a kid to school and make a better community—that’s what making an impact is all about! The opportunity you are giving these kids is priceless and the happiness you’ll feel in your heart can never be compared to anything else in the world. As I left Trinoma mall that night after the said event, I smiled knowing fully well that helping others was not beyond my means afterall.